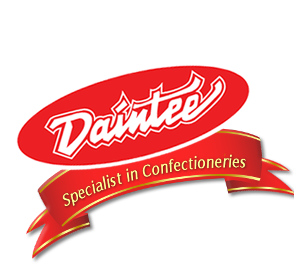 Daintee Limited is the market leader in confectionery in Sri Lanka. It was founded over a quarter of a century ago with the aim of producing high quality confectionery for the Sri Lankan market. Not only has it fulfilled that aim, but it now boasts a very large product range consisting of Toffees, Sweets, Jellies, Chocolates, Gum, Desserts, Biscuits, Snacks, Cereals, Teas, Peanuts, Organic Virgin Coconut Oil and Noodles. Daintee Limited is continually expanding its product range and currently there are over 75 different products. The company has been investing in the latest technology and the machinery used for cooking, chocolate refining, production and packaging is modern and the most reliable in the confectionery field. Metal detectors are used to ensure that products are free from any metal contamination. The products are marketed in Sri Lanka as well as several other countries under prestigious brand names such as Daintee, Milady, Bensons, Chito, X-tra, Mr Bitz, Longlive and Denmi.The companies have purchased the internationally known prestigious brand names of Milady, Bensons, and Chix, which originally belonged to Barker & Dobson, to be used in Sri Lanka. At the inception, Daintee Limited had a technical agreement with Barker & Dobson. The enviable reputation of Daintee Limited is largely due to the maintenance of high standards in quality and factory hygiene at all times. To maintain a quality culture throughout the organisation, the companies operates under the concept of Quality Management System (QMS) since 2004. The company has been awarded the internationally recognised ISO 9001:2008 certificate. The company is hoping to be awarded the internationally recognised ISO 9001:2015 certificate, in recognition of the organisation meeting high quality standards, adhering to applicable regulatory requirements, aiming to enhance customer satisfaction and achieving continual improvement of its performance in pursuit of its objectives.